Lots of artists sell art from home. It's a business model that can work well for many artists. ​BUT you do need to be aware of the legal and other implications of selling from home. There's a BIG DIFFERENCE between selling via post or the internet and developing a retail outlet in your home. While much of the government regulations and detailed guidance relates to the UK, the general principles are good for many countries across the world. Please contact me with any useful guides you've found relating to your country. ALERT: It's very much YOUR responsibility to do all the necessary checks to find out what you must and can do if you want to run a business making and selling art from home. Please note how "the rules" work will very much depend on where in the world you live. What I say on this page does not necessarily apply to you - but it might! I also do my best to keep this page up to date and find everything relevant - but cannot guarantee it is and no legal liability is accepted for any of your actions based on what you read on this site. "Professional advice" is available from somebody with a relevant business advice and/or accountancy or tax qualification, membership of a relevant professional institute and CURRENT expertise of accountancy requirements or tax affairs anywhere in the world. However it's much simpler if all your sales are by post or the internet and nobody ever comes to your home. There's an awful lot of regulations you may need to comply with - not least those relating to liability to third parties and the payment of any taxes for running a business from home. storage requirements: your stock never leaves home until it is sold and needs safe, secure and watertight storage plus insurance cover at its retail value (based on evidence of past sales). It can be an incentive to work small! (The winner of a major art prize - who works big - told me he was spending it all on a new external dry and secure store for his stock of artwork!). The Government provides accessible information in the form of a number of Business Guides prepared by the Chartered Trading Standards Institute. It would be nice to think that everybody who calls or visits is a nice person. Unfortunately that may not be the case. You need to bear in mind that once out of a public place people do things which they might not try in public. Artists have had thefts of both household items and artwork and art materials when they let strangers into their home. Sometimes the value of items stolen can be significant. Certainly the nuisance of having to replace essential items can be both time consuming and expensive. Hence the need for insurance - and security. Extra security precautions are wise when you have open studios or other occasions when you may well have more than one person in your home. To run a business from home you need permission from your Mortgage Provider or your Landlord. Many legal agreements prevent you from running a business from home without permission. Home businesses battle against legislative barriers | The Telegraph - Complex legislation and cumbersome bureaucracy present major challenges to ambitious entrepreneurs, writes David Sumner Smith. A large proportion of mortgage contracts and tenancy agreements prevent residents from working from home. Social housing tenants, for example, are explicitly barred from starting up a business at home. If you're selling from home to people who come to your home you MUST think about Insurance. 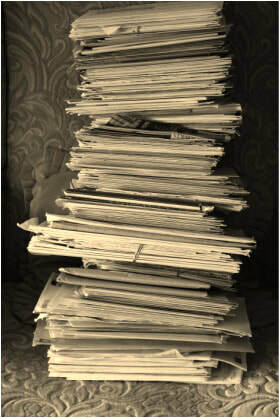 First you MUST READ what it says in your house insurance - and specifically what it states in the exclusions clauses. Your house and contents will be insured as a domestic residence not as a place to retail art. You MUST therefore make sure you do NOT invalidate your domestic insurance cover. You MUST inform your insurer if you work from home if you don't want to invalidate your insurance - and face a refusal to pay out in the event of a claim. If you have third parties (strangers) into your home you are liable for any accidents or injuries they suffer while in your home. 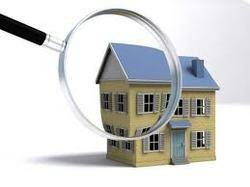 Your home will be under scrutiny! The general principle is that Health and Safety Rules and Regulations apply if you have anybody else helping your or being paid to assist you with your artwork. ​​If it's a place of work then the regulations and rules apply to third parties. For many businesses, all that’s required is a basic series of practical tasks that protect people from harm and at the same time protect the future success and growth of your business. That's because the new use is classified as commercial and retail and NOT domestic. All such changes of use require planning permission and you cannot be certain permission will be granted. Any application for a change of use must be notified to neighbours and they are allowed to comment on how such a change will impact on them and highlight anything relevant in planning law which suggests permission should not be granted. The local government in your area can - via its local laws and by-laws dictate what activity or activities you engage in within your home - and can insist that you cease and desist if you are running a business from your home. Many Cities and/or Municipalities in British Columbia, Canada have bylaws that forbid the selling of goods from your home. This depends on what type of planning zone you live. A Zone that includes domestic homes can be Residential, or a mix of Business/Residential dwellings. Some Zones indicate that residents are not allowed to operate any business from a residential dwelling other than offering lessons such as piano lessons, art lessons etc. If you're thinking of building an extension for a studio or dedicating any part of your home to your art practice you need to check out what the implications are locally for the payment of any taxes or claim for any allowances. You can claim the relevant proportion of running costs expenses relating specifically to the separate / part of your home building dedicated to your art (if your turnover and profit levels are such that the tax people will entertain such a claim). You will need to arrive at an verifiable estimate of such costs. you have to pay business rates on any independent space dedicated to your business. It requires a valuation as a separate heriditament. Unless you're a full-time professional artist, consider making any space multi-functional (e.g. a studio doubles up as a guest room when required; the dining room also functions as your office for paperwork from time to time). That way it's part of your home and not just a dedicated business space. Think about the implications re. 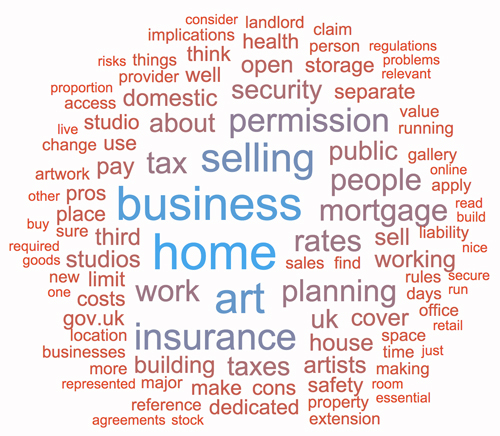 business rates if you hold an Open Studios for a few days a year - and sell art from your premises. Contact your local tax office to find out what the issues are BEFOREHAND.